Is anyone looking for student accomondation? Anyone who is looking for some student accomondation in Belfast can do so using my referral code : 15550687195 when registering on the student roost website. 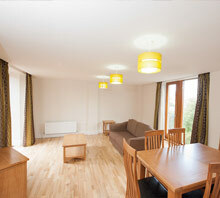 Rooms are spacious with ensuite and even studios for those who want some extra space. Their is a wide range of shelves, under bed storage and drawers for those who over pack. Theres even a storage room located in shared flats to storage extra items that students dont want to store in their room. For example, suitcases boxes and cleaning supplies. All Bill's are enclusive and their is inside bike storage offered along with delivery collection service so that u never miss a parcel. The accommondation suits all people and there needs and there is also student roost sites in other parts of the United kingdom if your not planning to study in Belfast and they located in close proximity to the local universities. Wanting to find out more information go to the student roost web page and enter the city you will be staying in and pick a site and dont forget to use my referral code for discounts and rewards. Hi, thanks for sharing your referral code out!